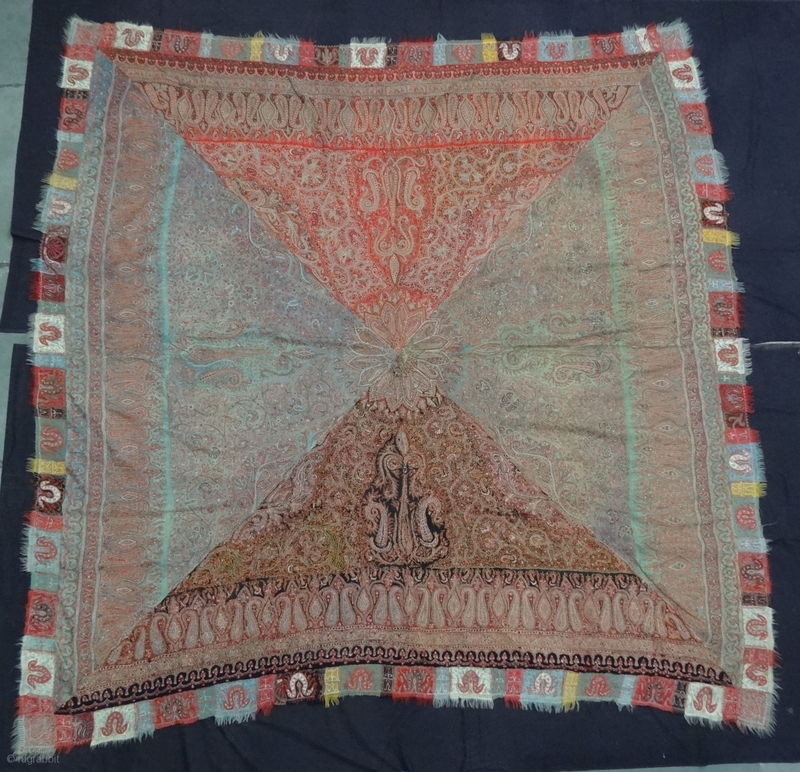 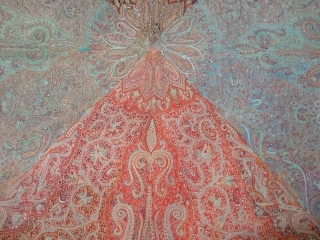 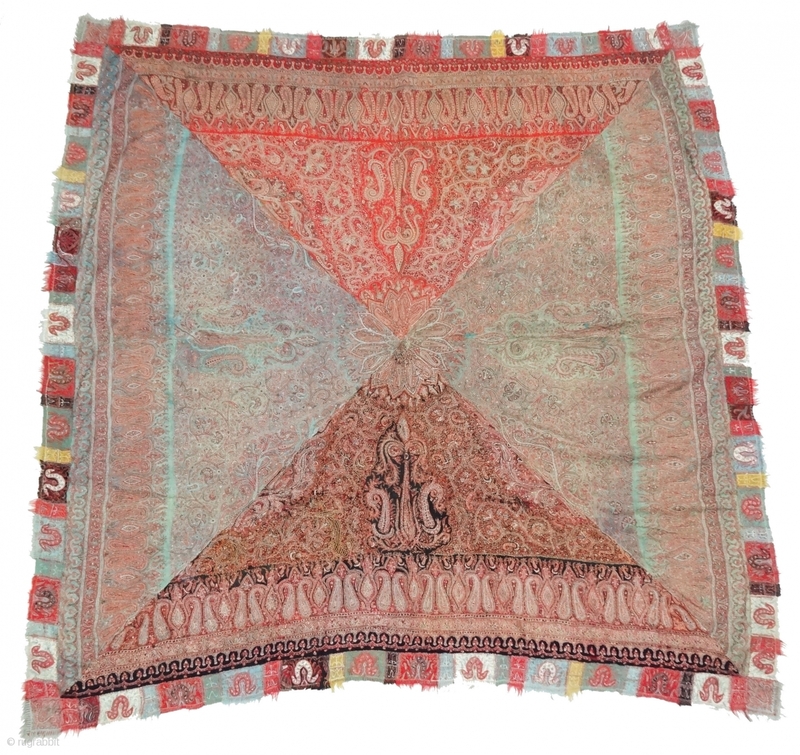 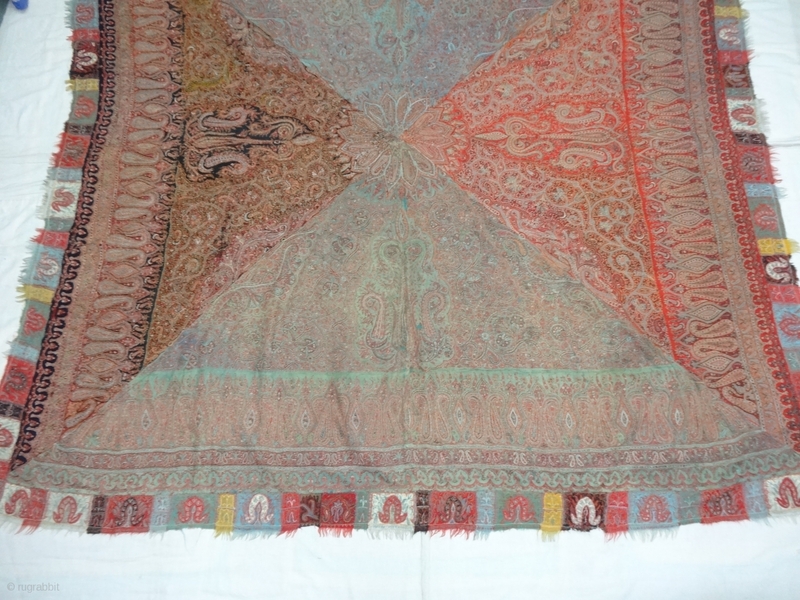 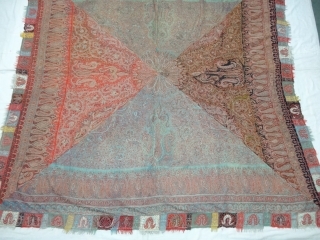 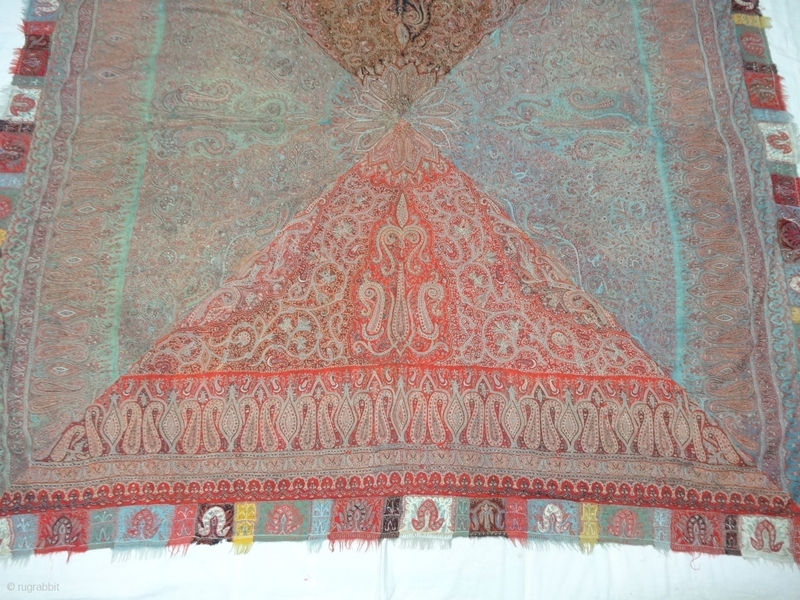 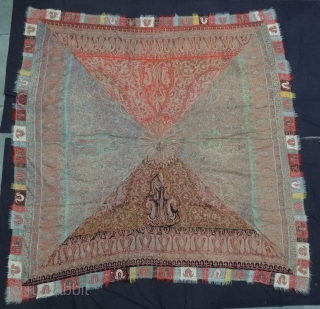 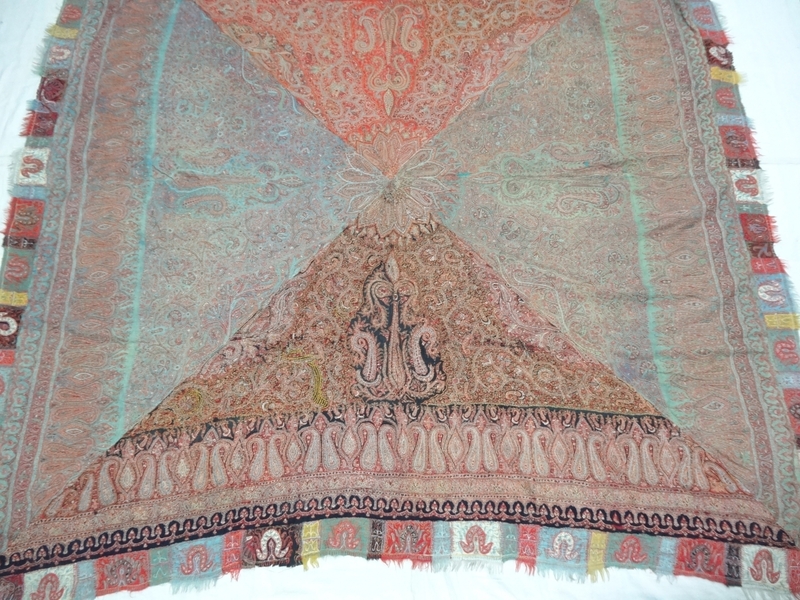 Char-Bagh Embroidered Square shawl(Rumal),From Kashmir India.C.1860.Four Section of Different Colours variations with embroidery known as Char-Bagh. 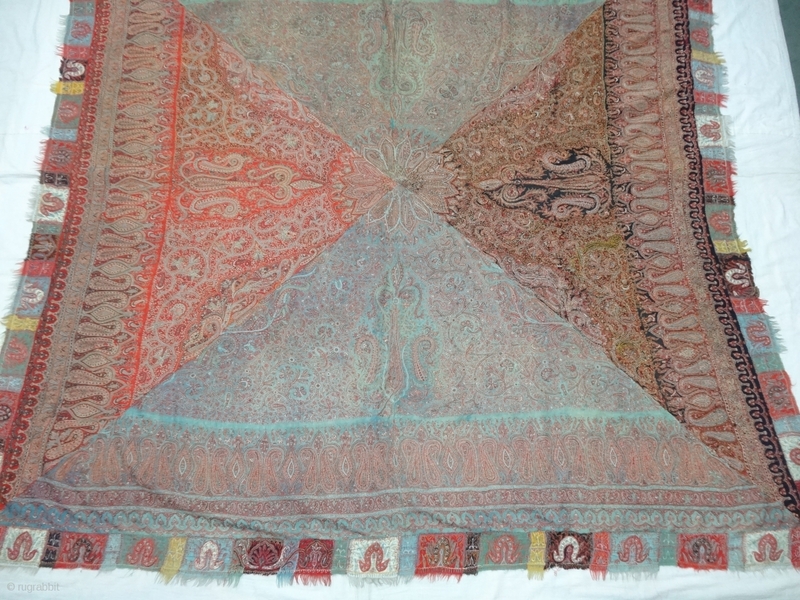 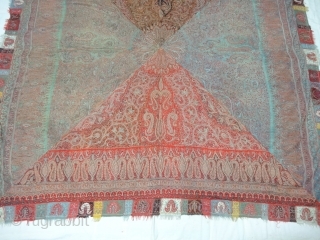 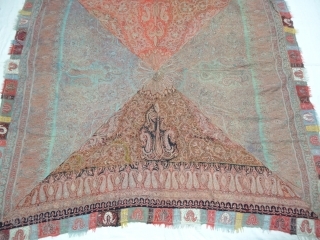 Rare kind of Square Shawl(Rumal).Its size is 192cmX200cm. 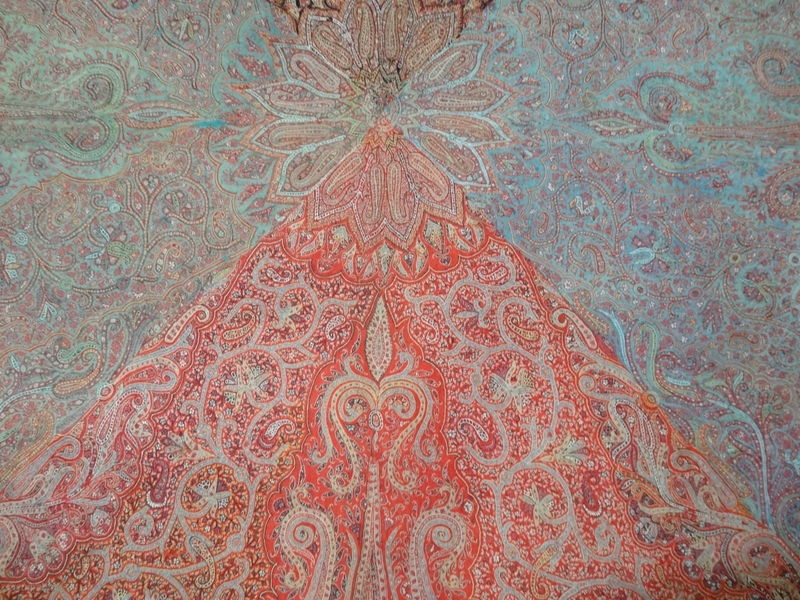 Ask more Detail Pictures(DSC05024).